At Clwyd Welding Services we pride ourselves on the knowledge we have when it comes to the welding industry. With over 25 years experience selling into this sector, you can have the confidence that you are dealing with knowledgable, experienced, friendly staff for all your welding needs. We supply machines from one of the industries leading brands, ESAB. We stock a range of smaller machines on the shelf in our showroom but can easily source high powered industrial machines from our expert contacts at ESAB. For more information on these machines please contact our sales team. 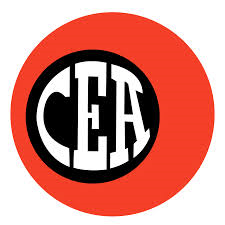 CEA Is one of the European leaders in the design and manufacture of professional welding machines, producing a wide range of Arc Welding & Plasma Cutting Power Sources and vast selection of Resistance Welding Equipment. Cebora are long established when it comes to the manufacture of professional welding machines, producing a wide range of Arc Welding & Plasma Cutting Power Sources.